Including 'Pick & Mix' 3-Pair, 5-Pair & 7-Pair Packs. Find your size, choose your pairs. 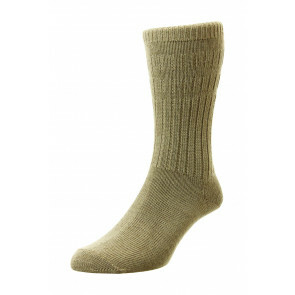 HJ Hall Socks have come a long way since the first half-hose sock produced in 1882 in Leicestershire. We would like to think we still produce some of the sturdiest socks around – such as our Indestructible™ sock line created in 1958 and, with its 12-month guarantee, going stronger than ever. 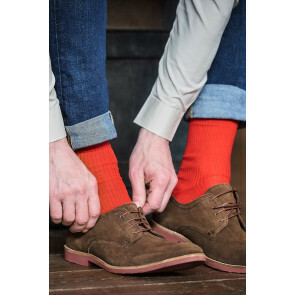 At HJ Hall we produce a huge variety of socks; the sort of fine socks beloved of city gents; colourful styles that will please even the fussiest of dandies - the HJ fashion socks range. We even make highly technical walking socks, the ProTrek™ range. They are so good the Polar Horizon team raced 350 miles across the Arctic in them in temperatures of -50° C and were the only team to finish with no blisters! In 1989 Neville Hall (Honest John's great–grandson) added Softop® socks to the portfolio. They were developed (and patented) to minimise the problems caused by the tight elastic in other socks. Since then they have often been copied but never beaten. The secret to the outstanding comfort of these socks is the three unique relaxation panels. These panels contract vertically with a gentle grip, so the socks stay up in comfort all day long without leaving marks on the legs or restricting circulation. Containing no-elastic at all they are still the market leader today. Available to buy on the Official HJ Socks website, and also on HJ Hall's dedicated Softop Socks website. They are ideal for all wearers but particularly beneficial for those with poor circulation problems or Diabetes. An Extra Wide version is also available for those with particularly large or swollen feet and ankles. The Softop® socks range includes styles for Men and Ladies, covering every situation, Casual, Business, Thermal or Walking. 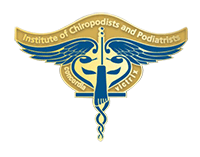 Softop®, and our Diabetic socks, are the only socks endorsed by The Institute of Chiropodists and Podiatrists. All Softop® socks come with an unconditional 6 month guarantee of wear. The Hall family have been selling socks from Leicestershire since 1882. The first Hall’s factory was built in 1882 in the rural farming community of Stoke Golding, Leicestershire. It employed just 16 people and had a monthly turnover of £32 4s 4d. The original goal for John Hall was to provide warm, long-lasting hose for the farming community in which he was brought up. The first socks he produced were pure Scottish wool, grey half-hose. These were recorded in 1892 as costing 2s 7d for 2 dozen pairs. John was renowned for his honesty and integrity and became known as Honest John (which is where the HJ comes from). HJ Sock Group has developed and evolved over the years, and has grown to become the largest independent British sock company as part of the Pantherella International Group.